What a heartwarming picture! 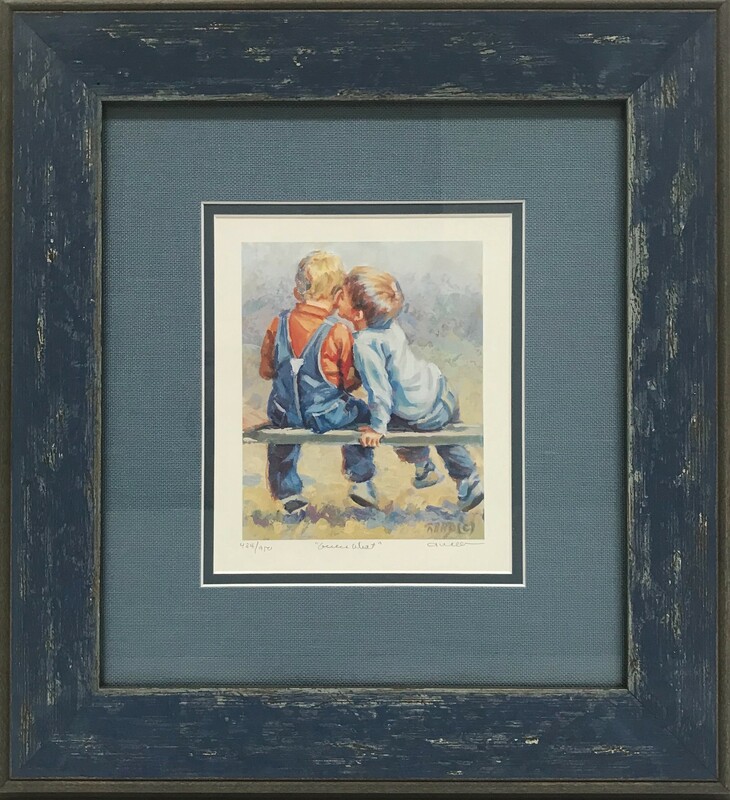 This signed limited edition print has a blue linen mat with a distressed barnwood frame. Together they enhance the denim in the print and the nostalgia for the joys of a childhood friendship. 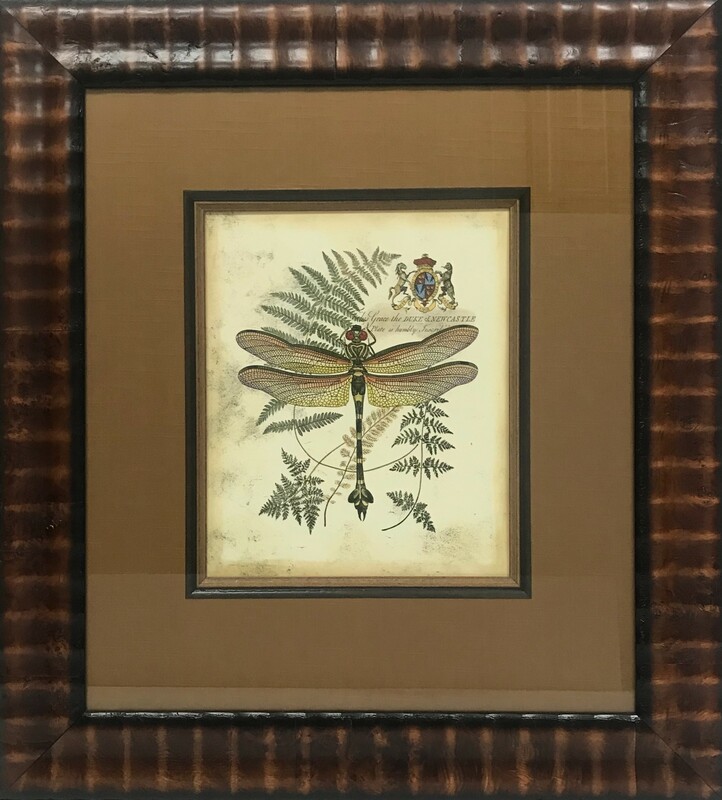 This Antique Dragonfly giclee is a hand colored engraving reproduced to look like the original image that was found in the 16th- 19th century. We framed it in a brown linen mat with two wood fillets and finished it with a wide three inch burl frame. Looks like it came out of a castle! 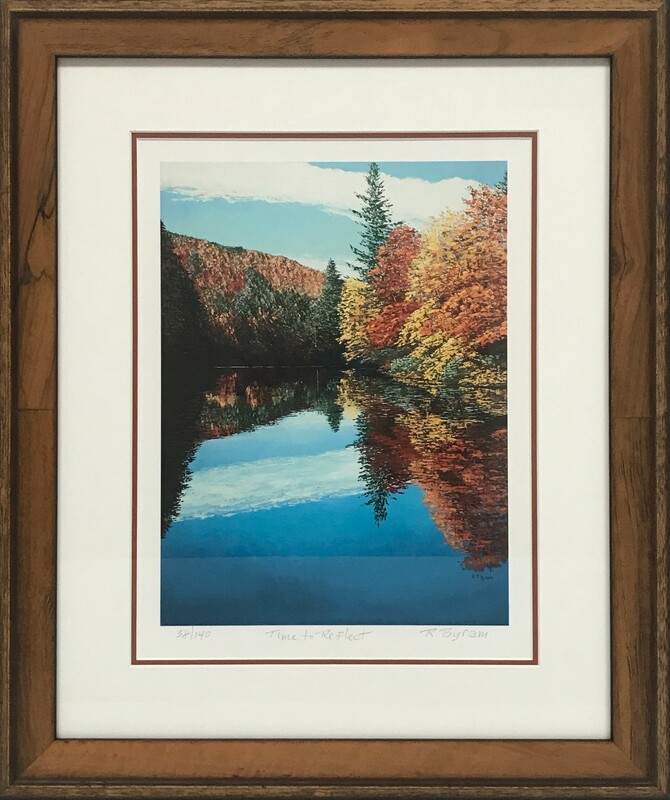 This contemporary mini print demands your attention when you see it framed.We used a heavy embossed burl frame with a fillet sandwiched between two mats and finished with museum glass. The presentation makes it look like a very expensive print. Black and white photos take you back to the “good old times”. 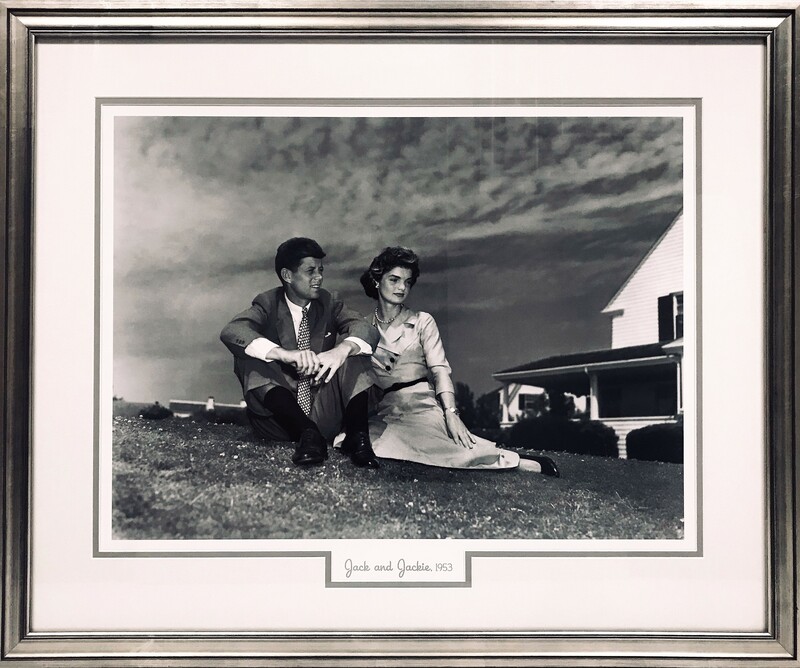 We matted this reproduction of an original photo of JFK in white and grey matting. Then we put a modern clean silver frame on it to give it a new contemporary look. Cindy does beautiful, professional work! She takes time to help you create the look you want, savor the memories of old pictures and memorabilia, and her attention to detail is second to none! Go see her today! Cindy, the owner, was very friendly and extremely knowledgeable. She explained every step that goes into framing and how each step plays into the overall price. She did a fantastic job framing my NC law license and various admissions. Cindy is the go-to in Raleigh! WOW!!! The small crew here can tackle any print, project, or collage, no matter how large your imagination. The college diploma framed turned out exactly how I imagined and the collage with all my concert memorabilia rocked and floored me. It is amazing. I’d recommend this shop to anybody needing anything framed. Cindy is an expert, creative framer, plus, she and Sherri are both pleasures to work with. Thank you both so much for making the Dinosaur piece come alive! I’ve had several items custom framed from here, including photography destined for competitions. The owner and staff are good at suggesting various framing styles with customer needs, desires, and price points in mind. I’ve been very satisfied with the finished results. Totally recommend this place! I brought in a canvas painting and Cindy patiently walked me through the options for frames. She helped me understand what I needed but also made sure the end result was exactly to my taste. I can’t believe how great the framed painting turned out. I can’t wait to hang it on my wall!! This is a fantastic frame shop. I have taken several things there and have been extremely pleased with each piece. Cindy and Sherrie will spend as much time as you need to pick out the perfect mats and frames. I had really looked around quite a bit for a frame shop and knew I had found the right place the first time I went there. They really do beautiful work and always make you feel that you are valued as a customer. Cindy does excellent work. She’s framed nine pictures for me and I have always been delighted with the result. She spends a lot of time with you picking out the perfect frame and matting. She’s experienced enough to guide you in the right direction if you’re unsure about where to start but also very intuitive in perceiving what you’re looking for. Frame & Art Shop is my go-to place for framing. The expertise and customer service are both superb. I have always LOVED the artist style and suggestions provided by the friendly staff at this amazing frame shop. The prices are excellent and the customer service beyond tops. I went here to get a matted around 2 pictures I had. I did not want any frame. The lady was very nice, she was helpful to the place I visited first as the head would not help me. Here you were treated well and I received the treatment a customer deserves. Thank you very much for the help and for the wrapping of my pictures. This shop is the finest framer in Raleigh! The owner is very knowledgeable and has a fantastic creative eye to know how to frame to compliment even the most unique pieces. I can not recommend the quality of work done here highly enough! Excellent! I am a repeat customer of Frame & Art Shop! I have had 2 original art pieces (family treasures) matted and beautifully framed, one old bathroom mirror brought back to life with a stunning frame (hangs in my living room now), and specialty matts cut for non-standard sized antique watercolors I bought at a thrift store. 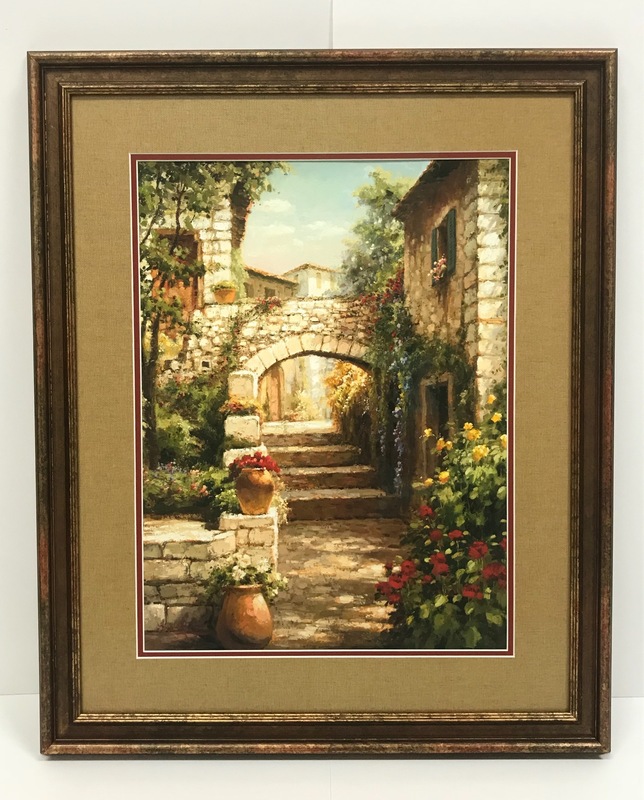 The owner, Cindy, has an appreciation for size and scale and a talent to match design elements in the frames and textures/colors of the matts to the subject/style of the pictures. We have had two pieces framed by the Frame & Art Shop and are very happy with them both! When you come into the shop, you are always made to feel welcome and appreciated. The owner, Cindy takes the time to go through all options and provide wonderful suggestions to fit what you have! Their customer service is second to none as well as the quality of their services. We will be going back to them in the future! I had an expensive bit of work done as a Christmas Present and totally forgot about the owner telling me that they would be closed Saturday before Christmas. I drove up only to find it closed and realized I had screwed up good. She was gracious enough to meet me on her day off and let me pick up the artwork. The frame, matting and attention to detail was beautiful. Next time you shop at a big box or impersonal chain, ask yourself if the manager would drive in on their day off so you could pick up something you forgot! I’ve had multiple pieces framed and reframed here, and they all turned out perfectly. Ms. Cindy has a great eye for choosing just the right mat and frame. Great service, great people, can’t ask for anything more. I could not be happier with this shop. I had three cross-stitch pieces of varying sizes framed here and the results are very impressive. The owner, Cindy, specializes in cross-stitch framing, though she frames lots of paintings, mirrors, etc. as well. She was very helpful in selecting framing materials and has a great eye for composition, color, and texture. Though it can get a little pricey, it was worth every penny. Cindy knows her craft as well as anyone I’ve ever seen. Highly recommended! I highly recommend Frame & Art Shop. Cindy was so helpful to work with and the pieces turned out beautiful. They are timely, professional, honest and great to work with. From the moment I purchased my painting in Mexico, I knew I would bring it to Cindy at the Frame & Art Shop. Cindy immediately identified the perfect frame for my large painting and was able to explain to me exactly how she would stretch the canvas and attach it to the frame. 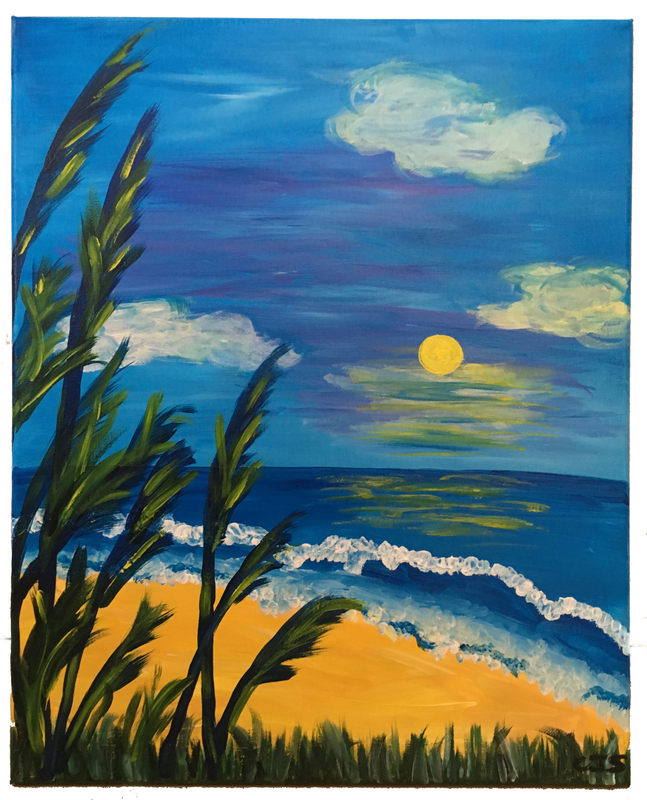 It was a hard canvas to work with, so she used her skill and experience to create a beautifully, framed painting. I am extremely satisfied with Cindy’s professionalism and commitment to provide an excellent product. We are enjoying our painting. 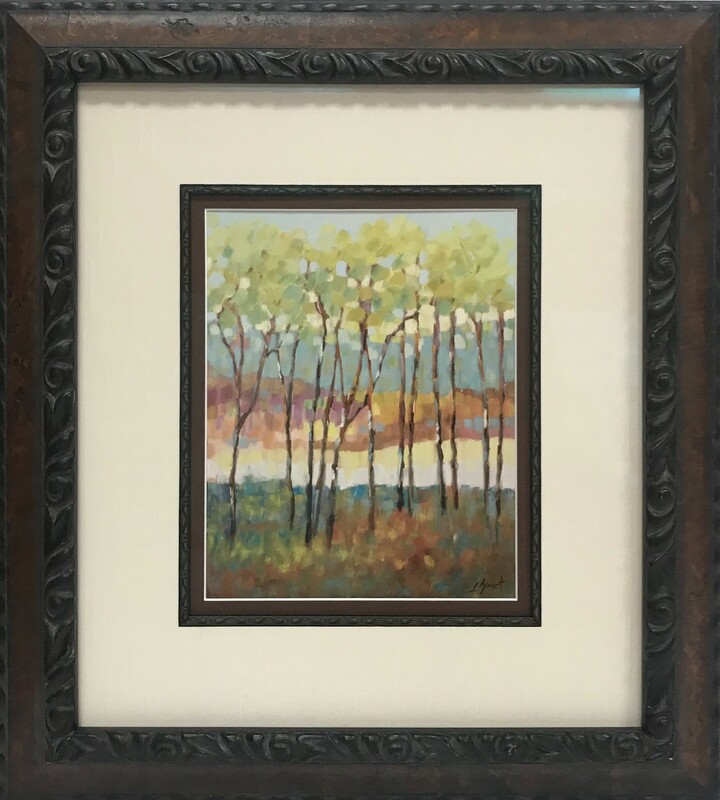 I’ve been using Frame and Art shop for the last 20 years for all my framing needs. Cindy does excellent work! She always takes time to make sure I select the perfect frame and mat. I love what she’s done with my daughter in laws diploma. Cindy did a great job framing a print that meant a lot to me. She rushed it because my husband is very sick and I wanted to be sure he saw it. I loved the double matting that she suggested and am so glad I chose the museum glass. I recommend Frame & Art Shop to anyone in the Raleigh Area who is looking for a really sharp owner who is attentive and does beautiful work. Beautifully designed framing can turn most anything into a work of art. Cindy combines technical skill, design talent and a large product selection to help me transform my clients’ treasures into beautiful artwork to compliment their rooms. When you visit the Frame & Art Shop you are guaranteed to find quality work and personal service that can’t be beat. We pride ourselves in designing and producing only the best in custom picture framing at affordable prices. All work is done on site with next day service available. We offer a wide variety of over 2000 picture frame mouldings to choose from. 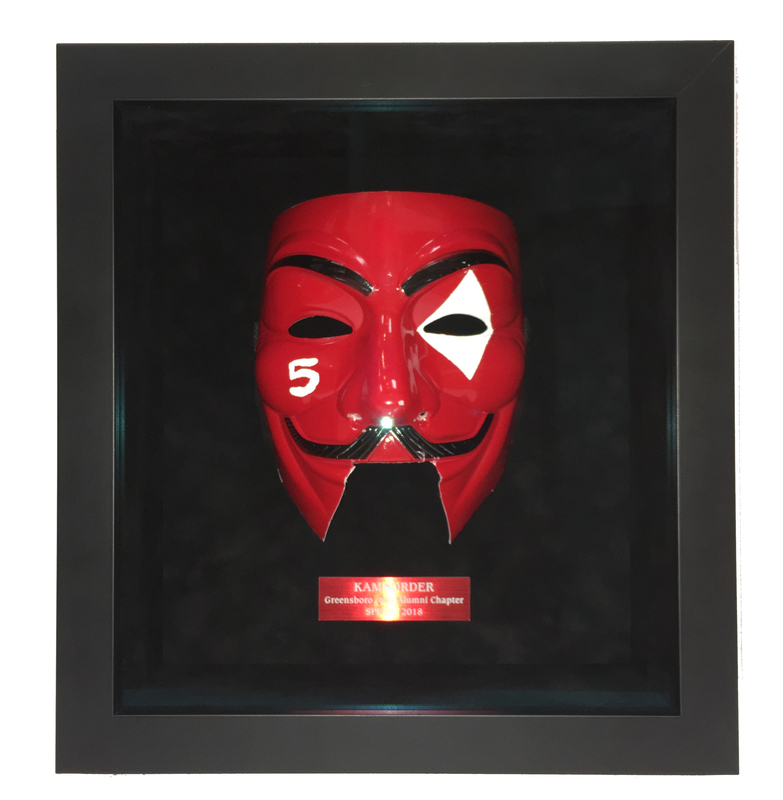 Our selection includes everything from the simplest contemporary metal frame to the most elaborate ornate museum frame and everything in-between. From paper to silk our vast selection of matboard is impressive. With a state of the art computerized mat cutter we can meet all your design needs. We also offer 6 different types of glazing to protect your artwork, including the invisible museum glass. You have to see it to believe it! Our Art Gallery carries 100’s of prints to choose from. With art catalogs available in house and online our friendly staff can help you find that exact piece you are looking for. Frame and Art Shop looks forward to serving you! Most orders are completed within 10 days. More complicated designs such as shadow boxes, stitchery and multiple opening mats may take up to 2 weeks. Absolutely NOT! All framing is done in-house. We have the latest technology and equipment to ensure that everything needed to frame your piece is at our fingertips. The workshop is located next to the gallery. We design and frame at the same location. The cost will depend on a number of factors. 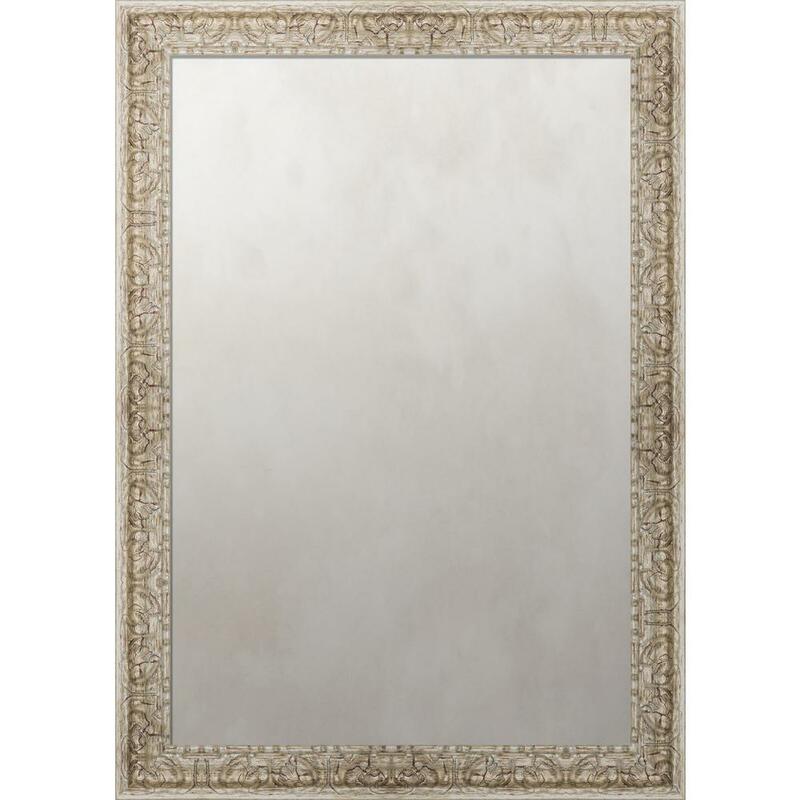 All frames are priced per foot ranging from $6 to $55 per foot. We have over 2,000 styles to choose from. The mats comes in a range of textures from paper to silk with 6 tiers of pricing. We also have 5 different types of glazing which has a variety of pricing. We can do very simple or complex designs. We offer free quotes! Yes, our ready-made frames are marked 20% off, and we have house mouldings always available in stock that are less expensive. We also have an ever-changing selection of discounted mats at half price. We also give discounts on larger quantity orders with the same frame moulding. If you sign up for our newsletter you’ll receive promotions throughout the year. Yes, we can make that happen. We give next day service at no extra charge. Selections are limited to supplies in stock. We have ready-made frames, house moldings and a huge selection of mats always available. We can always order any frame to be delivered overnight for an additional charge. We ask that you only “cry wolf” when absolutely necessary. This enables us to take care of customers with emergencies such as funerals and last-minute gifts. We carry five different types of glazing. Regular clear, conservation clear, conservation reflection control (also known as non-glare), museum and acrylic. Our preferred supplier is Tru-Vue®. They are the industry supplier leader in quality and technology. We recommend museum glass. It is an invisible glass that gives your artwork 99% UV protection. Our customers love it; you’ll have to see it to believe it. 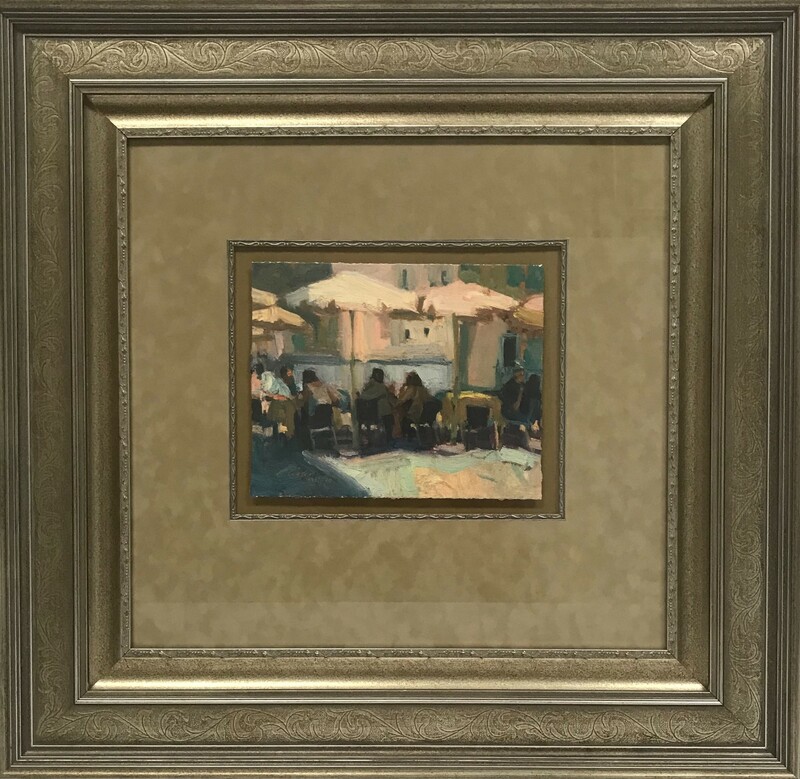 We always suggest a glass that blocks out UV rays to protect your artwork from fading. Yes, shadow box framing is our specialty. We create a box with mats, then hand sew the jersey directly to the mat board. It’s a little time-consuming but this will ensure it will last forever. Check out our social media sites for some examples. 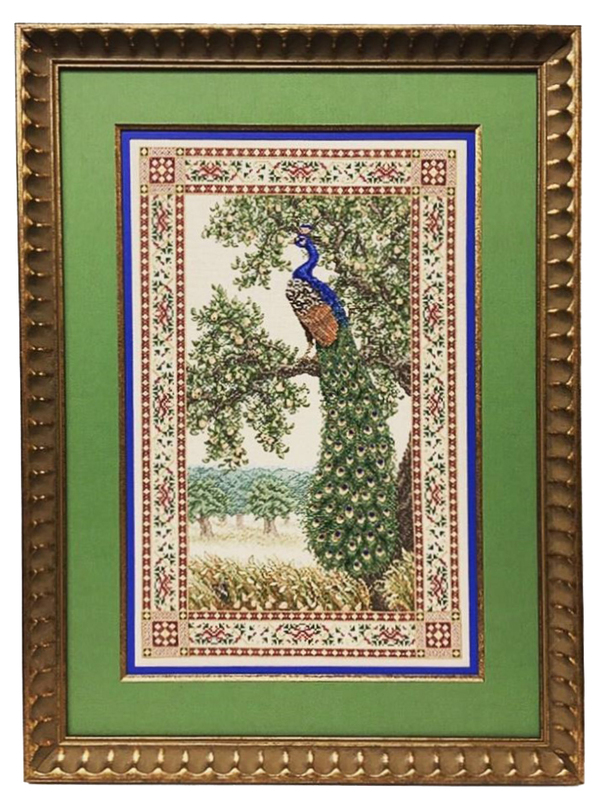 Yes, here at the Frame & Art Shop we specialize in needlework, cross-stitch and tapestries. 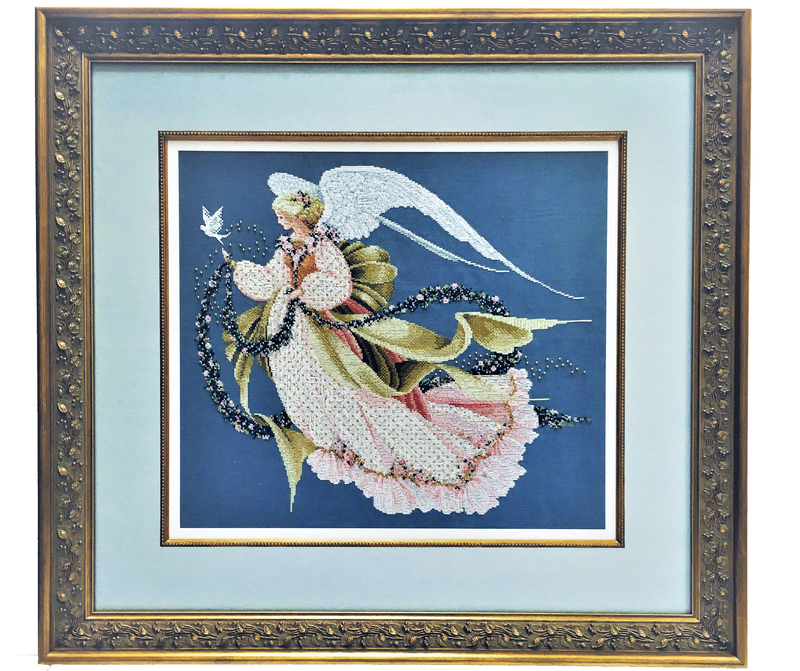 As a matter-of-fact Cindy, the owner, used to teach cross-stitch classes back in the 80’s and that’s how she first started her framing career. We always encase your piece in acid-free materials to ensure it will last forever. Absolutely. 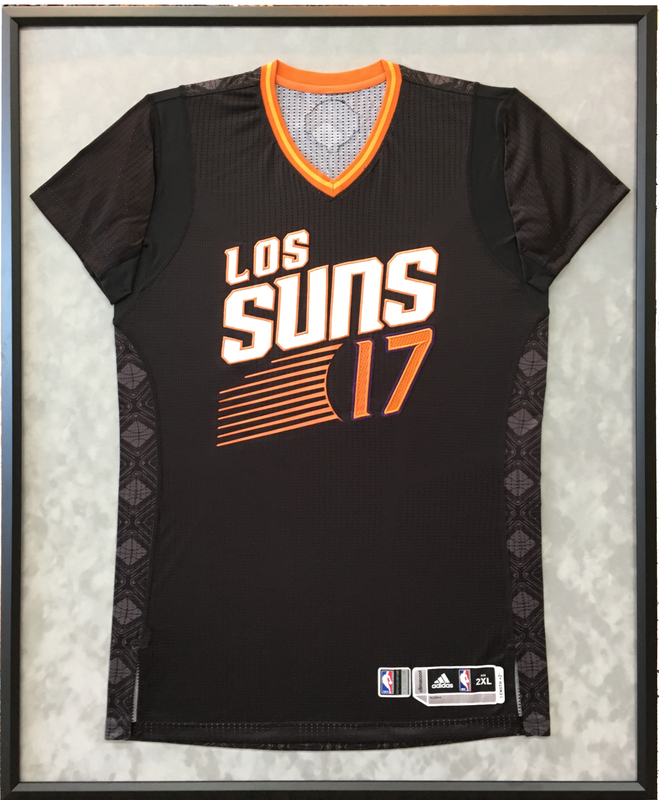 We have a computerized mat cutter and can cut multiple windows to accommodate your pictures, photos and memorabilia. Just bring in all your items and we will arrange them to fit in one frame. Yes, we have multiple size strainer bars and can stretch your canvas on it. Depending on the presentation (with or without a frame) will determine how we suggest to wrap it. We have samples in the store to show you the difference between gallery and museum wrap. Dry mounting permanently attaches and flattens your artwork onto a backing board. The process is primarily aesthetic removing small wrinkles and creases as well as reducing the continual effects of rippling. The process is permanent. As your design consultant we can explain the best method suited for your artwork. Heat and pressure and combined using a Dry Mount Press. Any artwork of value, either monetary or sentimental, should never be dry mounted. This would include original works of art, limited editions, signed or collectible art and artwork susceptible to melting or containing an oil-based product should not be dry mounted. This includes wax, pastel or charcoal based art. Also items that are thermographic should not be dry mounted this includes sporting event/concert tickets and certain types of jigsaw puzzles to name a few. Absolutely! 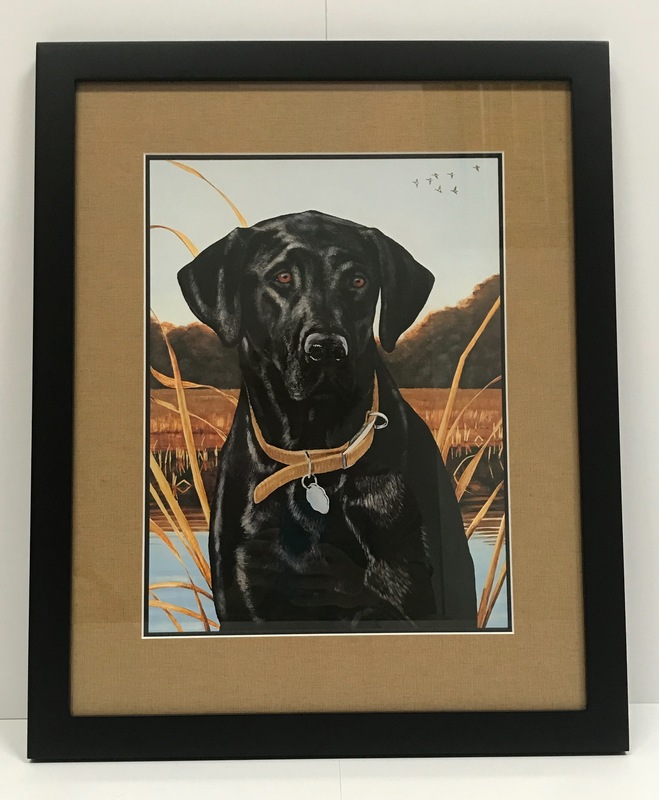 Owner Cindy and her trained staff will give you a detailed design consultation using the latest technology for your treasured artwork and memorabilia. With over 2000 frames and mats to choose from, they will use color and style techniques to show you different ways to compliment your piece. But Cindy has more than training, she has passion and truly loves her craft! She will meet with you and learn about you – your personal style, preferences, design requirements, etc. – then use her decades of experience to match your style with the perfect frame design. 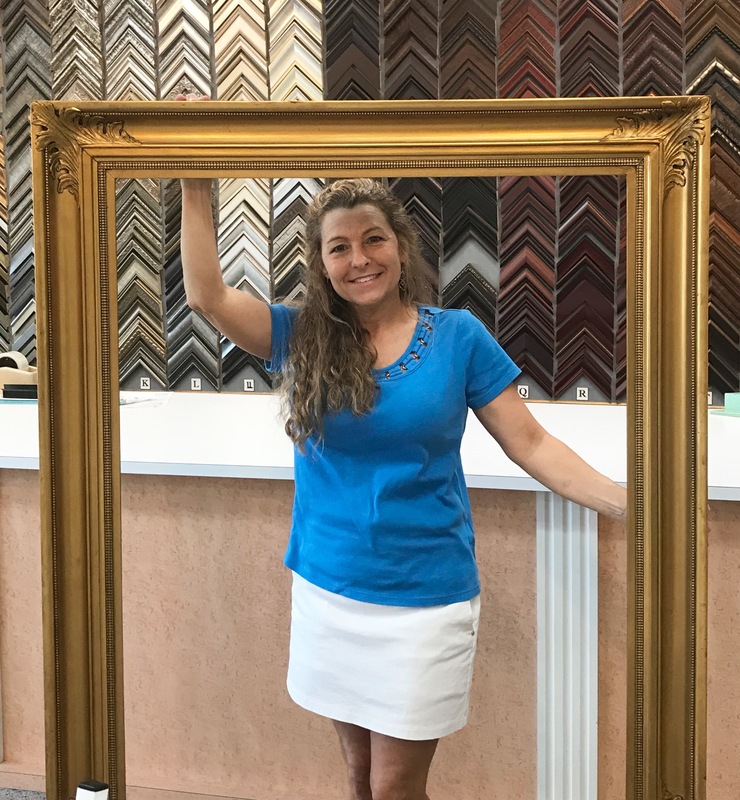 From mats to frames to glass, she will walk you through the process of creating a piece of art that is tailored specifically to you and one that you will treasure for a lifetime.